Bulgaria is among the few nations worldwide having their special day of culture, which is celebrated every year on May 24th – the Day of the Slavonic Alphabet and Bulgarian Culture. 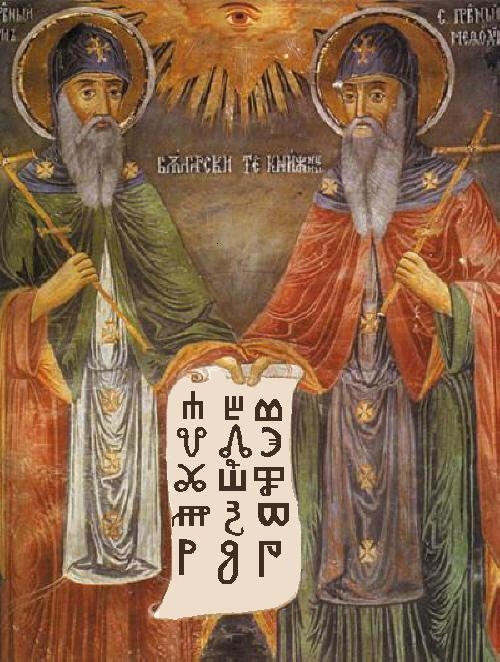 That holiday is expression of the pride felt by Bulgarians and coming from the fact that only they have accepted Cyril and Methodius' disciples and created for them everithing they needed to disseminate their creation (the Cyrilic alphabet) as well as creating the first cultural and enlightment centres in the Slavonic world. The celebrations on 24th of may are expression of the pride about the fact that all people who ever lived on Bulgarian lands - Thracians, proto-Bulgarians, Slavs – have left their imprint in the world cultural heritage. The Thracians and their ancestors left unique works of art representing the material and spiritual culture in hundreds of thracian tombs found on these lands. The Varna Necropolis dating from 4600 - 4200 B.C. that preserved the oldest processed gold ever, the Thracian tombs and sanctuaries in Kazanlak, Sveshtari, Starosel and Aleksandrovo are famous all over the world. There are numerous Greek, Roman and Byzantine monuments from the Antiquity and the Early Middle Ages. Bulgarians inherited that high level culture, enriched it with their thousand-year experience, and preserved and developed it until present days. There are eight sites on the Bulgarian territory recognized as unique, with world significance and included in the UNESCO List of the Cultural and Natural Heritage. The folk art has preserved the freshness of the public customs and songs and the folk crafts until present days. The Bulgarian folk song „Izlel e Delyo Haydutin”, sung by Valya Balkanska, was selected to be the musical message of the Earth to the far Cosmos and since 1977 it has been travelling on the board of Voyager 1. Nowadays the Bulgarian culture is proud of its achievements in the field of literature, arts, music, architecture and sports. The world famous artist Jules Pascin who is one of the most prominent figures in the artistic circle of Montparnasse in the beginning of 20th century, was of Bulgarian origin; also the painter Georges Papazoff, an emblematic figure in the surrealism; Nikola Manev – a master of the abstract painting. Works of one of the most admired Bulgarian painters – Vladimir Dimitrov – the Master, that preserved the soul of the old masters and Zlatyu Boyadzhiev, considered the most distinctive Bulgarian painter of 20th century, have been exposed in Budapest, Vienna, Rome, Paris and USA. The Bulgarian artist Christo Javasheff, famous all over the world as Christo, is one of the greatest avant-garde artists of our times, the creator of the wrapping as an artistic technique, who wrapped the Pont-Neuf bridge in Paris, the Reichstag in Berlin, the author of the project The Gates in Central Park, the Umbrellas in Japan and California. By his work the composer Pancho Vladigerov was the first who won international recognition and prestige for the Bulgarian music and cleared the way for the big stage. 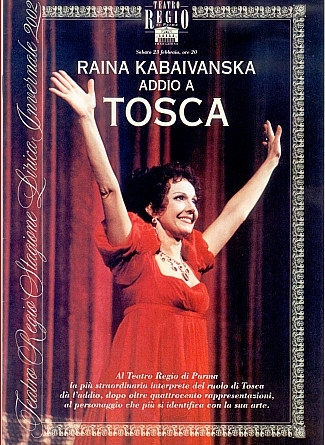 In the operatic art Bulgaria has contributed with well-known names like Boris Hristov, Nikola Gyaurov and Nikola Gyuzelev - great bass opera singers, phenomenon in the operatic art, Rayna Kabaivanska - one of the most significant soprano voices during the second half of 20th century, for whom Luciano Pavarotti said: „Toska of the past is Maria Callas, Toska of today is Rayna Kabaivanska”. The voice of Gena Dimitrova is also world famous and she is the first foreign singer who was invited three times to open the season of La Scala. Karajan said about her: „I lived to hear a voice, which only gods deserve.” We cannot talk about music and miss the names of the big music director Emil Chakarov, the two great violin players Mincho Minchev and Vasko Vasilev, the famous clarinet player Ivo Papazov and the great jazzman Milcho Leviev. The Bulgarian humanistic values have been confirmed abroad thanks to the translated works of Bulgarian authors, among which Ivan Vazov – the patriarch of the Bulgarian literature, Hristo Botev, Yordan Yovkov, Pencho Slaveikov, Peyo Yavorov, Emilian Stanev, Nikolay Haitov, Yordan Radichkov. Furthermore it would be appropriate to mention the names of three more great authors, that were born in Bulgaria: Elias Canetti (born in Ruse) novelist and non-fiction writer, who wrote in german and won Nobel Prize in Literature in 1981. Julia Kristeva (born in Sliven) is a Bulgarian philosopher , literary critic , psychoanalyst and sociologist, and Tzvetan Todorov (born in Sofia ) a philosopher, historian and writer. Bulgarians have great achievements in science, too. Probably many of you will be surprised to learn that the father of the computer is also Bulgarian - this is John Atanasov - the inventor of the first digital electronic computer. The achievements of the Bulgarian sportspersons are also worth mentioning. The high jump record of 209 cm of the Bulgarian high jumper Stefka Kostadinova is still unbroken and her bar decorates the entrance of the Olympic Museum in Lausanne. Bulgaria has world fame also for its football talents. The name of Hristo Stoichkov who won the Golden Ball in 1994 and the name of Berbatov are well known to football fans. In chess Bulgaria is proud of one of the greatest chess players of our times - Veselin Topalov. The cultural heritage of Bulgaria and its scientific and artistical achievements allows the country to take its befitting place in the European cutural space.